Although our system easily fits the requirements of most retail businesses as is, but if you require any extra features and functionality then our team can extensively customize the TradeMeters retail POS software system for Windows PC according to your particular business needs. Contact us for details about customization. Easily manage employees using "Users & Security" feature. Built-in Customer Rewards, Coupons and Gift Card Programs. Take quick data backups daily to prevent data loss in case of system crash. How we are different from (and better than) our competitors? You can order it custom made: For an additional fee, we can modify and change TradeMeters Point of Sale software to match your very specific business needs. That means if your business has any special POS system software requirement(s) we will make programming changes to our software to match those requirements. You can even request some extra feature(s) to be added to your copy of software. Just contact us with a brief overview of your requirements and we will be happy to send you a FREE quote. We have a dedicated version of our point of sale software that is specially programmed for opticians by taking extensive feedback from different optical store chains. Please visit our optometry software page for more information and to download the free trial version of our optometry POS software. Free and open access to our online Training Center which includes video tutorials and visuals. 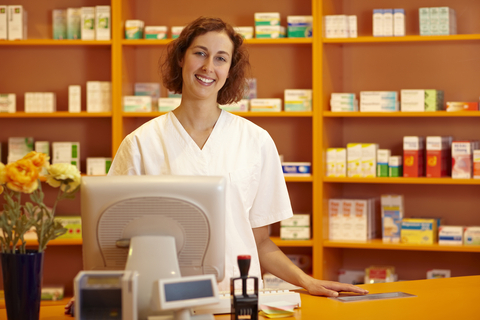 Free ‘virtually on-site' help (even during the trial period) by our POS software experts. If required, one of our trusted software engineers will remotely access your computer (with your permission, of course) to fix any point of sale software and accessible machine issues on-site. Most of the POS software issues can be resolved through remote technical support (through accessing your POS terminal by our staff member over the internet). Our Point of sale software is stable and reliable, so such issues are quite rare. In case you have limited technical know-how, then we can even install, setup and deploy TradeMeters point of sale on your Windows personal computer system. 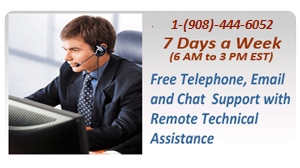 Just contact us and ask for virtually on-site support. We will setup everything for you over the the internet by remotely accessing your computer so that you can concentrate your time and efforts on running your business rather than managing the POS software. We take every customer seriously and provide personalized support suited to their particular needs. Once a POS system customer contacts us with an issue, a part of our team immediately starts working on it and we make sure that the issue is resolved within a reasonable time-frame and to the satisfaction of our customer. If you are located in New Jersey or New York, then our software engineer can physically visit your retail outlet to provide onsite assistance. However, our remote tech support works equally good as our qualified engineers can remotely access your computer over the internet to assist you anywhere in the world. TradeMeters™ is a very reliable and easy to use retail point of sale software for PC, which has been stress tested to ensure maximum performance under many different types of retail sale operations, specially the in-store networks which are technologically more demanding and ordinary POS systems cannot handle such networks efficiently. Our system is meticulously designed to operate on a large number of inter-connected computers within a store and all of these computers (checkout terminals) can be managed from a single back office computer. Different types of 'User Rights' can be assigned to different computers in the network. The fully functional 30-day Free Trial version can be used to setup the network. You can even manage multiple number of stores from a single head-office location at no extra cost. All you need to do is to buy a separate license for each machine (computer) in the stores. Up to 30 stores can be managed using the software off-the-shelf, however this can be substantially scaled up to hundreds of stores and more multi-store management functions can be added by our expert software engineers on a customer's specific request. 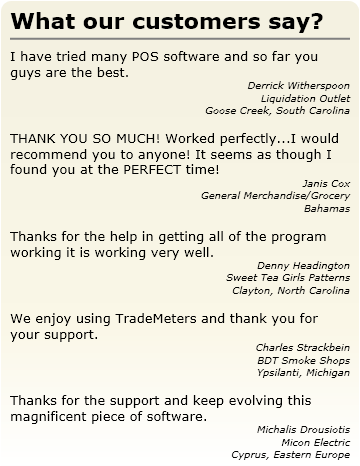 This is one of the several reasons why TradeMeters is the best point of sale software for PC. Just email us in case you require any assistance in setting up the in-store network and/or multiple stores or just a stand alone computer. We will be happy to provide on-site support if you require it, at no extra cost. TradeMeters retail POS software can be used at small, medium and large retail outlets including, but not limited to the grocery stores, electronics outlets, apparel stores, saloons, computer hardware shops, furniture stores, shoes shops, clothing chain stores, sports outlets, coffee shops, truck, car spare parts outlets and even shipping terminals. 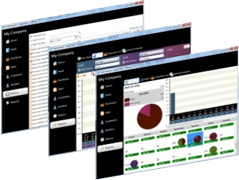 TradeMeters is a full retail management software that is quite easy to learn and operate. You can run it on any normal personal computer (PC) running on Windows operating system. Windows 10, 8, 7, Vista, XP and all other versions are supported and there are no special high-end hardware system requirements and anyone can learn to operate TradeMeters point of sale system software within a few minutes. Label printing app and Bar code reader support has also been implemented and the software is designed to support almost all types of bar code readers and receipt printers available in the market. The software is designed and developed with the end-user in focus and therefore any person even with a limited knowledge of computers would be able to operate our retail point of sale software with ease. Touch screen functionality is also supported and you can easily use any compatible touch screen monitor with it. Our POS software works well on Windows PC, Laptops and Tablets. Credit Card Integration: TradeMeters POS Software provides smooth Credit Card Integration. Merchant Warehouse is supported which is one of the leading credit card processing companies with more than 115,000 Businesses in U.S using it. TradeMeters POS even allows you to enter credit card information from other services so that you and your customers never face any problem during a sale. Best of all you can quickly accept credit cards from POS screen. We are so sure about the quality and usability of our application that we are providing our prospective customers with a 30 days free trial of our retail POS software along with an an unconditional 30 days money back guarantee after the purchase. Your purchase also comes with Free support via email, phone, chat and remote computer access support by our expert software technicians. Rest assured that you are backed by our team of retail software professionals who want you to achieve optimum productivity and benefits through efficient use of our software systems. Just give us a call on our number or contact us via email for any questions or comments. We mean business! Note: Windows is a registered trademark of Microsoft Corporation.